We don’t know much about this NSX race car, but according to HRE Wheels, it’s an NSX GT2. HRE Wheels‘ Instagram account says the black and orange racer was at Virginia International Raceway today for shakedown testing. It definitely looks race-ready with towing hooks, a cage, racing seats, and track tires, but aside from the massive rear spoiler, there doesn’t appear to be major aero enhancements. Hopefully we’ll get to learn more about the car in the upcoming weeks. 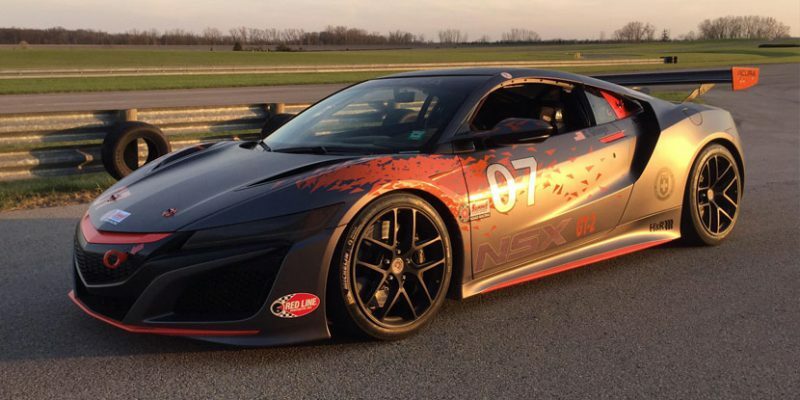 Ryan Eversley has said that this NSX GT2 car will be participating in the 2017 SCCA(Sports Car Club of America) National Championship Runoffs at the Indianapolis Motor Speedway in September.